Welcome home to this New Town Charmer. 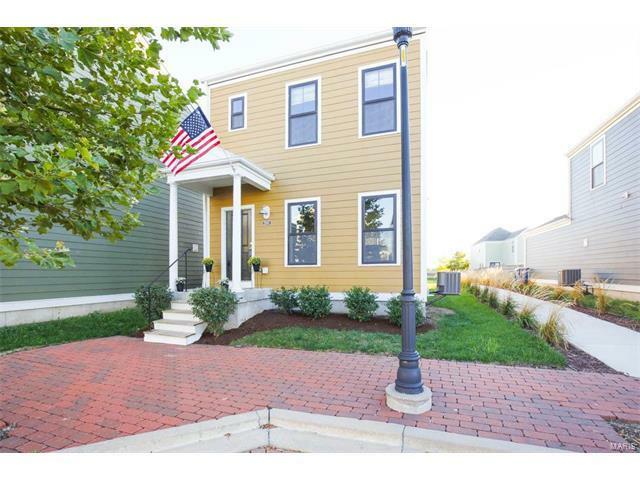 5 years young and located on a cobblestone street lined with paved sidewalks, street lights, and directly across from one of the many parks and common areas of the subdivision. Inside you will find an open floor plan, 9' ceilings and fresh neutral colors throughout. The main floor boast a large kitchen with a breakfast bar and separate pantry, half bath, and sliding doors to the backyard. Upstairs are two bedrooms with walk in closets and a large full bathroom. The lower level is partially finished and has an egress window, rough in for a full bathroom, and sump pump. Outside you will find new landscaping and a 2-car garage. The outside exterior is low maintenance with fiber cement siding. Bring your bikes, golf cart, or just walk around this amazing community and enjoy all that it has to offer with pools, restaurants, shopping, entertainment, and more right outside your doorstep.